What will the governor say? 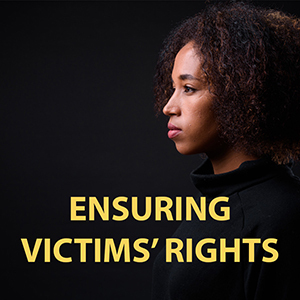 I have reintroduced my legislation that would provide civil immunity for anyone whose actions result in damage done to a vehicle during forcible entry in order to rescue a child. Please click here for more information on House Bill 279. This Tuesday Feb. 5, Gov. 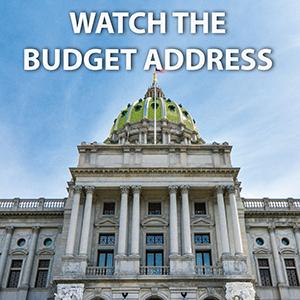 Tom Wolf will unveil his budget proposal for fiscal year 2019-20. You can watch the address on my website, www.RepBoback.com, beginning at 11:30 a.m.
We are looking forward to hearing the governor’s proposal and reviewing the details in the coming weeks as the Appropriations Committee will begin its series of hearing on the proposal on Monday, Feb. 11. On Wednesday, I met with Pennsylvania Secretary of Education Pedro Rivera. We discussed implementation of Act 35 of 2018, my legislation will require public school students to take a locally developed assessment in civics between grades seven and twelve. Starting in the 2020-2021 school year, every public school district shall administer at least once a locally developed assessment of U.S. History, Government and Civics to students during grades 7-12. 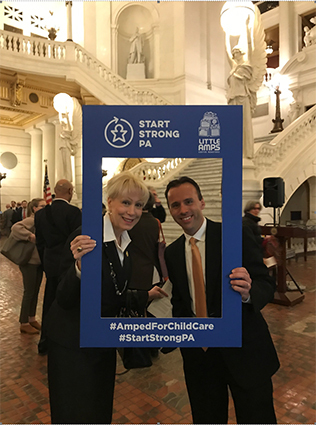 Steve Doster, state director of Mission: Readiness, and I attended Tuesday’s state Capitol news conference in support of the Start Strong PA Campaign for quality child care and early learning. As chairman of the House Children and Youth Committee, and a member of the Early Childhood Education Caucus, I am proud to be affiliated with groups and organizations that prioritize children in the Commonwealth. Fishing and boating are both big business in the 117th District. To that end, I met Tuesday with (from left) Pennsylvania Fish and Boat Commission representatives Julie Carraghan, Mike Nerozzi and Executive Director Tim Schaefer to discuss issues such as trout stocking and increased activity on our local waterways. This Wednesday, Feb. 6, the American Legion will hold office hours from 9 a.m. to 1 p.m. at the Tunkhannock district office, 133 W. Tioga St., Suite 4. Area veterans may seek assistance and information pertaining to specific benefits and programs. Please call (570) 836-4777 to make an appointment. 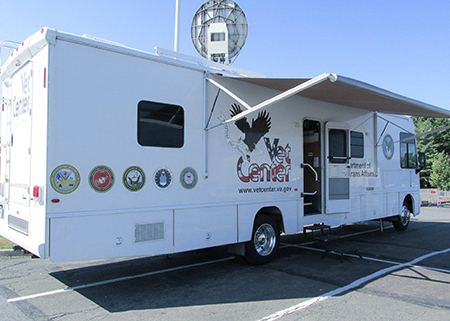 Then on Friday, Feb. 8, the Mobile Vet Center will be set up from 10 a.m. to 2 p.m. at Ace Hardware-Brady and Cavany Store, 809 Hunter Highway, Eaton Township. Some of the services available for veterans and their dependents include individual, group, family and bereavement counseling; medical referrals; assistance in applying for Veterans Affairs benefits; employment counseling; guidance and referrals; and alcohol and drug assessments. Women across the country are encouraged to wear red, as part of the “Go Red for Women” campaign to raise awareness of women’s heart disease. 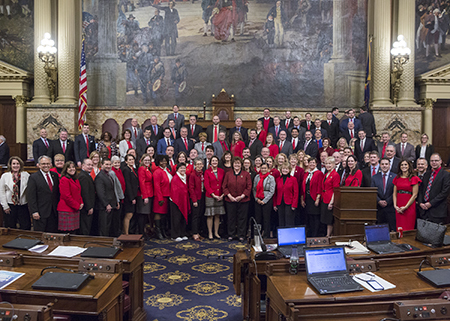 On Wednesday, we took this photo on the House floor in recognition of House Resolution 57, which designates Friday, Feb. 1 as National Wear Red Day in Pennsylvania. 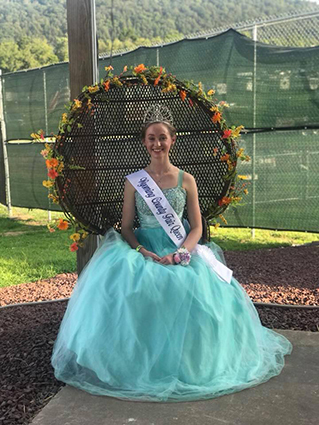 ….to Wyoming County Community Fair Queen Madison Sickler, who was selected as Alternate 2019 Pennsylvania Fair Queen. Madison, a senior at Elk Lake High School, is studying business at her local career and technology center, with plans to continue her education in banking and finance at Pennsylvania College of Technology. Mikara Anderson of Huntingdon County was crowned the 2019 Pennsylvania Fair Queen at last Saturday’s annual joint convention of the Pennsylvania State Association of County Fairs and Pennsylvania State Showmen’s Association.